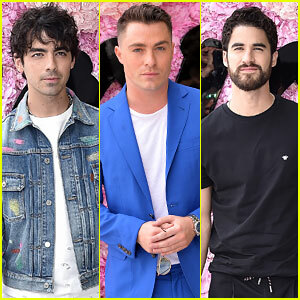 ASAP Rocky Photos, News, and Videos | Just Jared Jr.
Joe Jonas, Colton Haynes, and Darren Criss pose for photos at the Dior Homme fashion show held during Paris Fashion Week Menswear Spring/Summer 2019 on Saturday (June 23) in Paris, France. The three guys all wore very different outfits to show off their unique styles. Some of the other stars in attendance at the event included models Bella Hadid and Iris Law, music stars Rita Ora and AS&P Rocky, and fashion forward star Luka Sabbat. The show marked the debut of Dior Homme‘s new creative director Kim Jones and the celebs all met up with him during the photo call. FYI: Colton is wearing a Strong Suit suit. 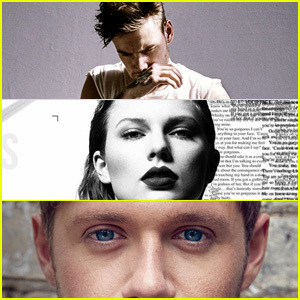 On this day (October 20), there are plenty of new music releases that we’re already totally in love with: from Taylor Swift‘s newest Reputation album track “Gorgeous” to Liam Payne‘s steamy “Bedroom Floor” to Rita Ora‘s catchy bop “Anywhere” to the title track from Kelly Clarkson‘s new record (“Meaning of Life”) to Niall Horan‘s long anticipated solo debut album Flicker. Kendall Jenner is just like the rest of us – she loves her ice cream. The 21-year-old model stopped to pick up some yummy Pinkberry with some friends on Wednesday (July 19) in Los Angeles. The day before, Kendall was spotted laughing with rumored boyfriend A$AP Rocky as they stopped to fill up their tank at a local gas station. Kendall recently got back from a girls’ trip to Greece with some of her pals, including fellow model Bella Hadid. Kylie Jenner Wears Colorful Dress, Kendall Bares Midriff at Khloe's Birthday Party! Kylie Jenner looks super chic in her colorful mini-dress while stepping out to celebrate her sister Khloe Kardashian‘s birthday on Sunday (June 25) in West Hollywood, Calif. The 19-year-old reality star and makeup guru was joined by her sister Kendall Jenner for the surprise party at celeb hotspot Blind Dragon. Kendall was joined by her BFF Justine Skye and rumored boyfriend A$AP Rocky, both of whom were at the BET Awards that night. Kylie stuck close to her best friend Jordyn Woods at the party. Earlier in the day, Kim Kardashian took to her Instagram Stories page to share the thoughtful birthday present that Kendall got for her niece North. FYI: Kylie is wearing a The Attico dress and Alexandre Birman heels. Kendall is wearing an Alberta Ferretti top and Levi’s 501 jeans. Kendall Jenner and A$AP Rocky sported some matching accessories today. The model and and the rapper both wore what appeared to be diamond-encrusted jewelry on their ring fingers while out and about on Monday (June 5) in New York City. The duo were leaving her brother-in-law Kanye West‘s apartment at the time. Kendall stayed warm in a grey hoodie and blazer, blue jeans, and white heels, accessorizing with a rectangular, flower-printed purse with a pink ribbon (no fanny pack this time). After making their exit, Kendall and A$AP met up with rapper Playboi Carti at a construction site while the guys shot some video footage. Kendall and A$AP recently got back from partying it up in Antibes, France.